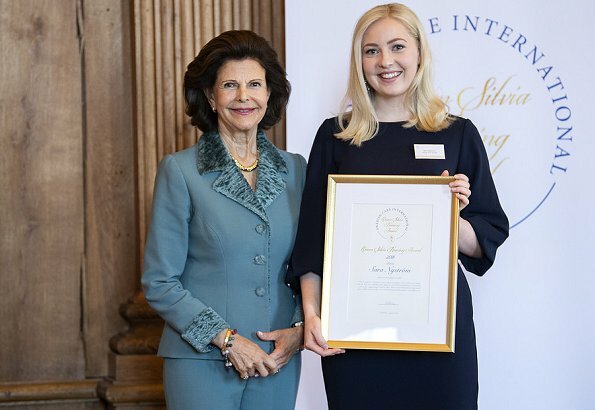 On April 2, 2019, Queen Silvia of Sweden presented The Queen Silvia Nursing Award to students of nursing with a ceremony, held in the Bernadotte Library of the Royal Palace in Stockholm. 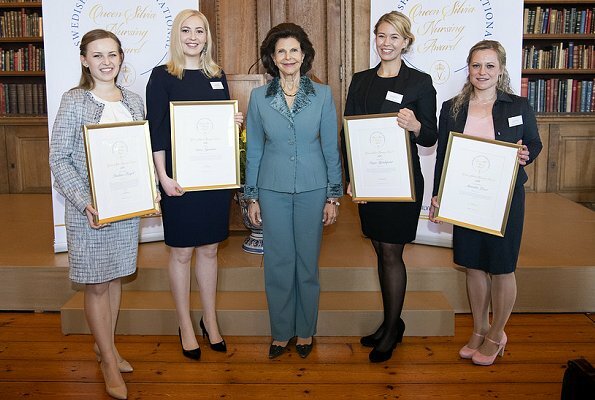 This year’s scholarship recipients were Paulina Pergoł from the Medical University of Warsaw in Poland, Sara Nyström from Linköping University in Sweden, Maiju Björkqvis from Vaasa University of Applied Sciences in Finland and Annette Löser from Medi Campus Chemnitz in Germany. 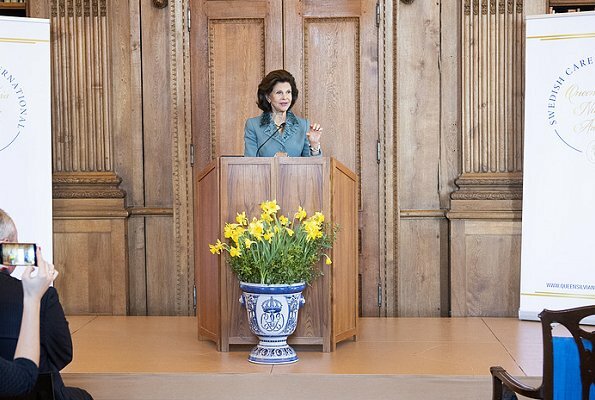 The Queen Silvia Nursing Award was inaugurated to mark The Queen’s 70th birthday on 23 December 2013 in order to create the right conditions for lasting positive change within treatment and care, with a focus on the elderly. What a wonderful honor for those women! The Queen looks great. Q Silvia looks good again, her hair looks great.What a pleasure to see all of them receiving their Awards. the queen looks excellent. 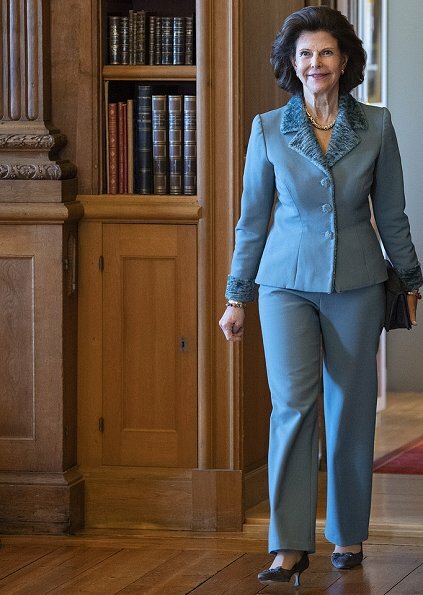 how many ladies her age can rock a pant suit the way she does? 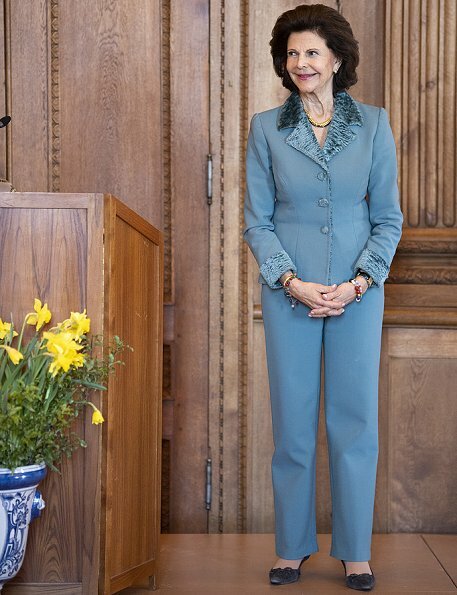 no disrespect to Victoria, she could learn from her mum how to choose the right tailoring / cut that flatters her figure.